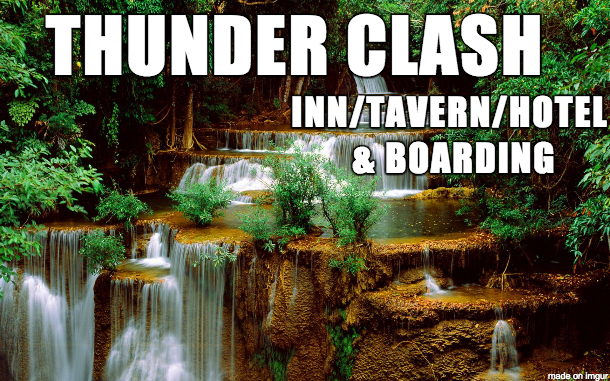 TOPIC | [CLOSED] Thunder Clash Inn! Thank you! Welcome to Thunder clash Inn! Ping AlbinoWerewolf and Me when posting please! ello~! Welcome to Thunder clash Inn! We'll hold your dragons for you! The inn is a two-story timber and brick building, with a blue tile roof and a smooth stone floor. Flowers are scattered around the entryway. Accommodations consist of several hammocks in the common room, a check in desk, and a Tavern. the customer sends the payment to whoever replied to the post. "I Break Bones Not Hearts"
Okay here are the prices~! A potion that heals your dragon for 250 health. How do you do~? Im Shintaro! I work Security here! The service was wonderful! Both @AlbinoWerewolf and @Kano3Shuuya were nice people, and I'll definately come back here again. Ooh? you interested? Well here is where you can buy items in the gift shop! We have familiars, Appearal, Vistas and various trinkets, including achievement sets! These are the helpers up for sale! This murderous bird is blind save for the large, ominous eye on its chest. While the Longneck Interlopers are scouts, Skirmishers are fighters, trained to act as guardsmen to the territorial clans that roam the mountains. This peculiar statue wasn't standing there when you last looked, and it certainly wasn't posed in that way either. Don't turn your back. Don't look away. After hours of wrestling, this impressive tome finally comes to rest, lets its pages fly open, and reveals... 300 pages of ways to prepare liver and onions. This marble sculpture moves to block the path of anyone trying to pass by. Mirror, mirror on the wall, who's the greatest of them all? It's me. It's me isn't it? Confirm!!! Don't be fooled, the last thing you want is a weapon that might bicker about which way it's being swung. A thick, romantic accent and welcoming grin enchant your senses. You feel like a guest here, but can't quite let your guard down. It is rumored that these bewitched furnishings can never truly be extinguished. Once one flame is put out, another springs to life. Both this globe and its fishy patron are likely figments of the imagination. Attracted to anything and all things spherical, these specters can often be seen haunting Pearlcatcher enclaves. The harpy beastclan often treats these spirits as natural allies, preferring to use their resemblance to scare away enemies. The spirit of this lamp has been known to throw a hissy fit. 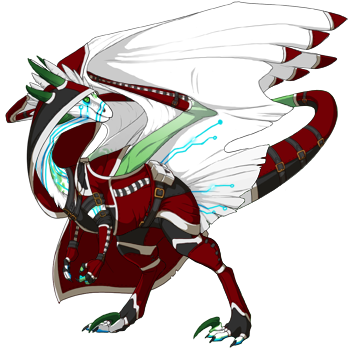 A blessing and a curse, donning this armor will increase one's martial abilities, but also one's taste for battle. This enchanted armor will roam ancient pathways, protecting the road's travelers. This cauldron needs just one more ingredient...YOU! Baldwin might nonchalantly refer to this impossible monstrosity as "the one that got away." Those who say all that treasure will never keep you company are probably feelin' pretty silly right about now. It's you and your money, goin' it alone! None of the theories about the designer of this freaky furniture have any legs. The furniture itself has, well, plenty. Intricate patterns and rare, ghostly cloth hold this finely-crafted cloak together. Intricate patterns and rare, ghostly cloth hold this finely-crafted tail wrap together. A hat for a performer that's ready to entertain with a jolly delivery. A collar for a performer that's ready to entertain with a jolly delivery. A tail bell for a performer that's ready to entertain with a jolly delivery. A small piece with incredible potential. Collect the whole set! Keeps fighting no matter what. An annoyance in any argument. Looks like it might be a bad bishop. Looks like it might be a good bishop. Also known as a black castle. Also known as a white castle. For some reason it makes you crave meat. No worse than the White Queen. No better than the Black Queen. Its value could be considered infinite. Its value could be considered infinite plus one. A polished brass ring clutching a gleaming emerald. 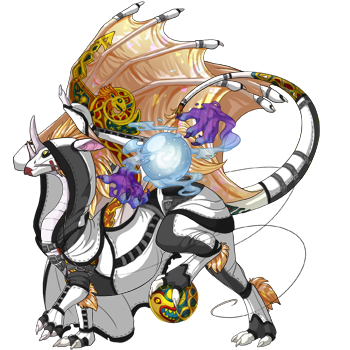 It is large enough that Fae dragons could use it as a necklace. A shining silver ring, embedded with a pristine diamond. It's in perfect condition. And, of course, the VISTAS! !